We have all heard about how important curb appeal is to properties. There is also the ongoing trend and need to create bathroom appeal. 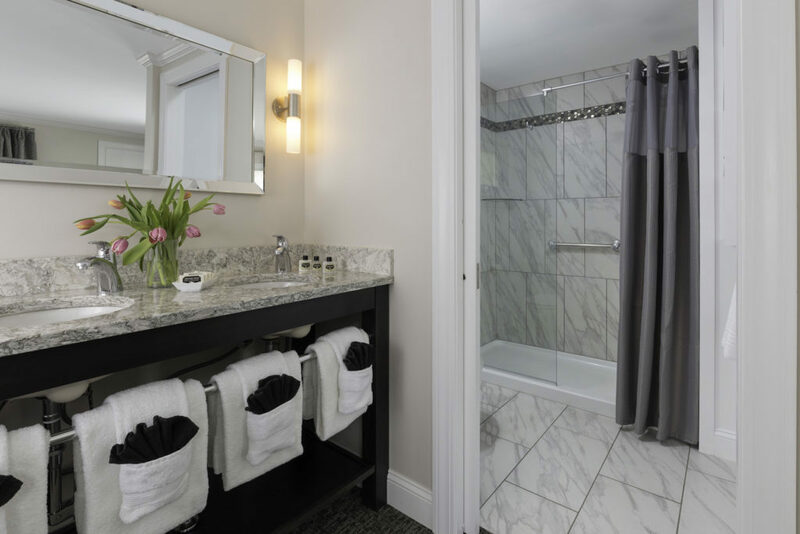 I would like to share some highlights from a recent article titled, ‘Hotels upgrade bathrooms for more demanding guests’. So true. 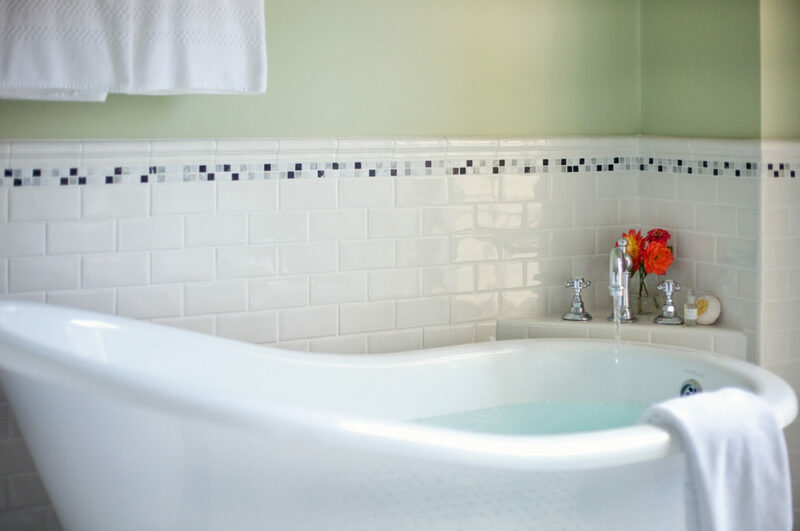 Over the last number of years The B&B Team have seen innkeepers, (who are their own ‘design strategists’), replace jetted whirlpools with soaking tubs or used the space to install double showers with body sprays and other ‘bells and whistles’! Lighting is another design feature that is important. Correct lighting for grooming surrounding the vanity/sink area adds to your bathroom appeal. Another informative article, ‘How to Pick the Best Bathroom Vanity Lighting for You’. Plus the technology of light fixtures and bulb choices is very sophisticated (confusing!) today. One suggested rule is side lighting. Avoid lighting above the mirror which can produce shadows if not placed properly. The article from Lightology gives great advise on the height and suggested amount of light. Worth a read. Another suggestion is dimmers. Not just for the vanity but all lighting in the bathroom. Your electrician can suggest the type of dimmers for the fixtures you are installing or already have. As we tell folks in our seminar for aspiring innkeepers, “Nothing takes the edge off of romance like multiple 100 watts of light.” It IS all about the experience, soft lighting and soft music, you got it. 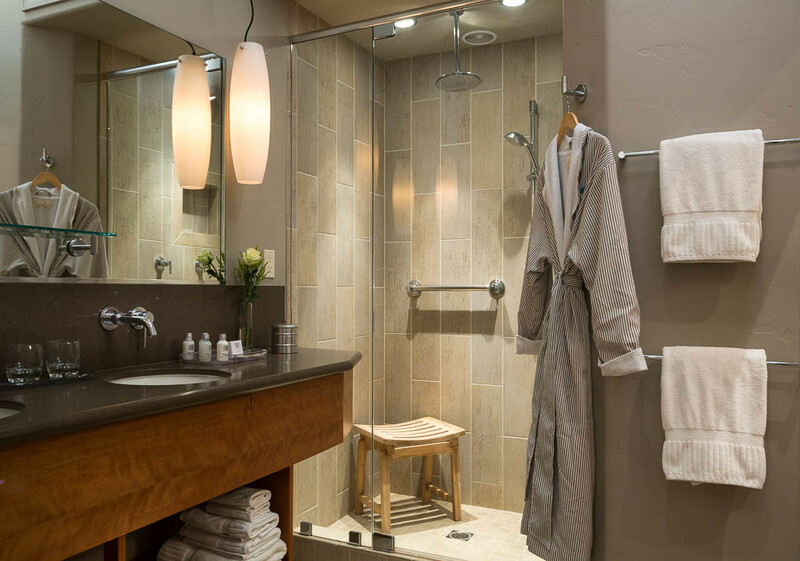 Note the rain shower head, soft side lighting (dimmable) for the vanity and shower light. The colors are also warm and inviting. Example of a relaxing ‘slipper tub’ that replaced a ‘retired’ and noisy jetted tub. Example of a luxury cottage that had a kitchenette and small bathroom. Voila…same space with double sink vanity with large luxury shower. Notice the pocket door, a real space saver. I think you get the picture, literally. Notice there are no toilets in these photos? We know there is a toilet somewhere. Now if you have an automated bidet with heated seat, now that may require a photo! This entry was posted on Thursday, November 30th, 2017 at 10:16 pm	and is filed under Innkeeping Business, Market Trends. You can follow any responses to this entry through the RSS 2.0 feed. Both comments and pings are currently closed.